We needed storage and a way to LIMIT our toys in the bath. Enter a great Whale--the Sea Scooper! A great way to end bath time--cleaning up toys! My little monsters would stay in the bath FOREVER if they could. 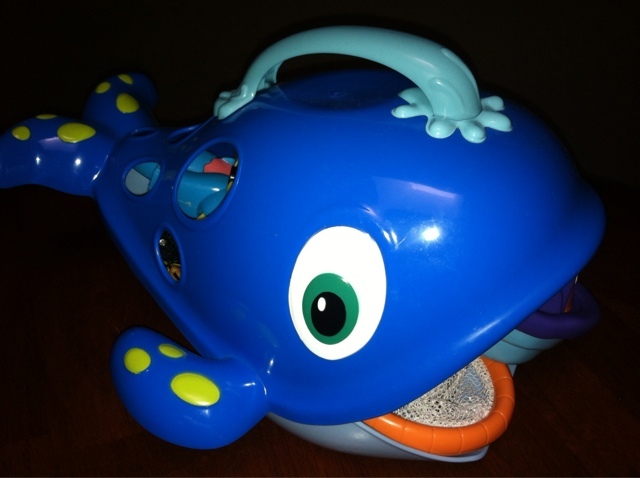 The Sea Scooper helps our family avoid arguments and crying when bath time is over. They know when he comes out it's time to start gathering or scooping toys. 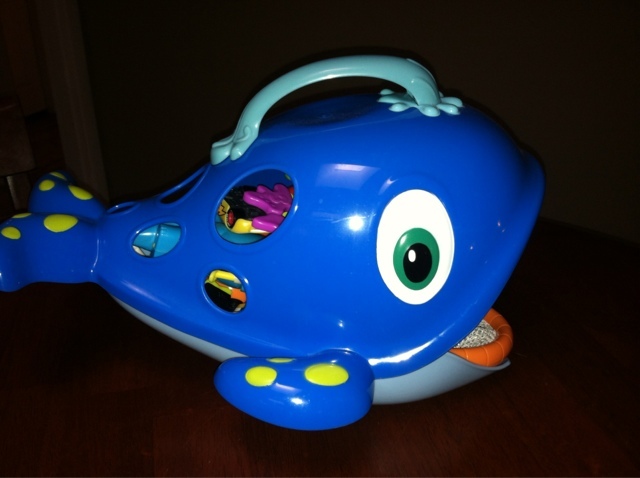 The whale is an easy to clean surface and has plenty of "drip holes" to ensure the toys inside dry. It comes with a hook to hang on the wall, too! Very cute! We have one too. It works perfectly, and it's adorable. Parker would stay in the bath forever if I let him! This looks adorable and very useful!